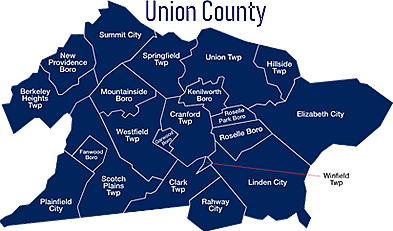 Union County's Division of Golf Operations runs two Public golf courses, which offer golf lessons and practice areas. Ash Brook Golf Course in Scotch Plains and Galloping Hill Golf Course and Golf Learning Center in Kenilworth. Our team cover parts of Union County Real Estate, including towns like Berkley Heights, New Providence, Summit, and Westfield.